We call the corporate life a grind for reason — it’s an endless race of meeting other people’s expectations to advance your career. For many, being subjected to the whims of others becomes too stressful and frustrating a life, as corporate careers make it hard for people to use the whole breadth of their experience, improve their skill sets and reach their potential as leaders. This is why so many corporate executives and professionals hang up their suits and put on the boots of an entrepreneur. Marlene Herman knew early on that the corporate life wasn’t for her — she left a potentially lucrative career in the banking industry for work that was more hands-on, becoming an expert in forging molten steel — and in doing so bucked the stereotype that women couldn’t succeed in gritty professions. 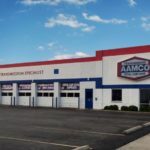 Not only did she succeed, but excelled — so much so that when she discovered that an AAMCO franchise in her area was for sale, she jumped at the chance to go into business for herself. Marlene worked with Realtors in her area to find a perfect location – which proved difficult in Cleveland in 1994. She had to hit the pavement, walking the streets of different neighborhoods, touring buildings and then repeating the process. In the end, she had to compromise. She had the perfect building in a less than desirable neighborhood. 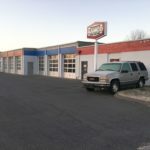 In 2002, a nearby AAMCO franchise owner was diagnosed with cancer, forcing him to put his business up for sale. Again, Marlene jumped in and bought him out. Today, Marlene is at the helm of flourishing businesses, and in her corner is the executive team that has reinvigorated the AAMCO brand. 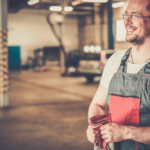 AAMCO now boasts a state-of-the-art training facility, a new consumer financing platform and the multiple revenue streams of Total Car Care, which allow AAMCO franchisees to serve their customers’ auto repair needs, from brakes to oil changes to tires beginning in 2018.